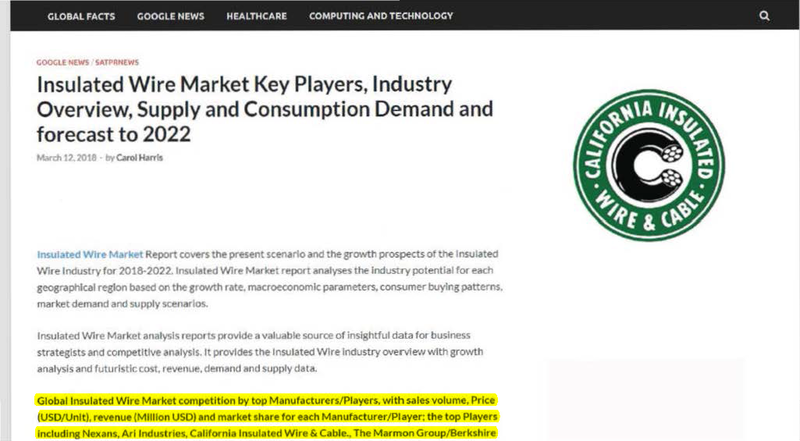 California Insulated is recognized as a major leader in the wire and cable industry. As the First Quarter comes to an end California Insulated has started off the 2018 Year with a very strong start, Production is very busy and We continue to work day and night to deliver our customers with the best lead times and quality cable they are used to getting year in and year out. California Insulated Day to Day program is still being developed our program is running very efficiently and as we continue to develop more and more features we are continuing to deliver accuracy as well as Rapid response times and full trace ability to make all our customers and future customer assured they are getting everything they need to fulfill there projects. More updates will be coming about the 2018 Year and California Insulated Wire & Cable’s plan to grow and expand our Capabilities and future products we will be offering.